Hi, everyone! 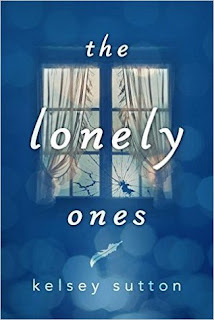 I'm very happy to be part of "The Lonely Ones" by Kelsey Sutton review-only blog tour! Thanks to YAReads Blog Tours for having me involved and to Kelsey Sutton and the Publisher for allowing me to read the book. [Here you can find the Tour's full shedule]. The Giveaway will be open to US and CAN only. 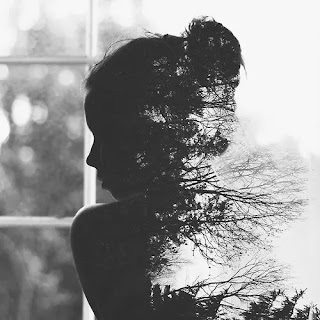 Synopsis: When your only friend is your own endless imagination, how do you escape your mind and connect to the world around you? With parents too busy to pay her attention, an older brother and sister who would rather spend their time with friends, and peers who oscillate between picking on her and simply ignoring her, it's no wonder that Fain spends most of her time in a world of her own making. During the day, Fain takes solace in crafting her own fantastical adventures in writing, but in the darkness of night, these adventures come to life as Fain lives and breathes alongside a legion of imaginary creatures. Whether floating through space or under the sea, climbing mountains or traipsing through forests, Fain becomes queen beyond - and in spite of - the walls of her bedroom. In time, Fain begins to see possibilities and friendships emerge in her day-to-day reality. . . yet when she is let down by the one relationship she thought she could trust, Fain must decide: remain queen of the imaginary creatures, or risk the pain that comes with opening herself up to the fragile connections that exist only in the real world? Told in breathless and visual verse, THE LONELY ONES takes readers through the intricate inner workings of a girl who struggles to navigate isolation and finds friendship where she least expects it. “The Lonely Ones” is the second book by Kelsey Sutton I read. As for “Some Quiet Place”, even this time I've been fascinated by the story contained in these pages. This book is also very different from my usually readings. Organized in short chapters, it’s a novel written in free verse. Short sentences followed by a dot, or linked together without punctuation, tied only by the deep sense that the authoress wants to convey and by the strength of the message that even a simple word, close to another one, send us. It all looks like a beautiful and long poetry, but a few pages will be enough to get used to it. It’s a really fluent novel, thanks to the short chapters, the captivating story and the style of the authoress. Even if she chose to write this book in verse, the imprint of her style remains the same. Hers is a light touch, beauty and it allowed us to daydream. With this peculiarity, added to the short but incisive sentences, she’s managed to touch me in my soul and, gracefully, she has been able to lull me throughout the reading until the very last page, which left me with a smile and a wonderful message, about life and growth, to be preserved forever in my heart as a little treasure. The story is told from Fain’s PoV, our main character. She is a girl who feels lonely even if surrounded by a crowd. Life problems, as the difficulty of finding a job or the monotony of one that is not what you want, have led her parents to close in themselves or to argue all the time. Her siblings, now grown up and caught in the typical issues that catalyze the attention of every teenager, they forgot the games and the complicity of when they were children. At school, students are divided into groups. Groups that act and think as one entity, where she feels not to belong. Fain walk in this world, but no one sees her. Talks, but no one hears her. She feels nostalgic. Now, the only times she feels alive, accepted and heard it’s when she writes her tales. When poured on paper rivers of ink words outlining her infinite worlds and endless stories. In this way, or during the night. When lights go down and stars shine. When everybody goes to sleep and her monsters wake up. Creatures, of different and strange shapes, that have made her the Queen of their Kingdom. Every nights they lead her in a different place and live together incredible adventures. But in the morning, when sun rises and the monsters go back to hiding, she starts a new day of loneliness. This, at least, until a new guy arrives at school, the only one that really seems to notice her. He can see and hear her. For Fain, this will sign the beginning of a long journey, a path in which she will have to come to terms with what really matters, with the meaning and the importance of friendship and family ties, but especially on what it means to grow up. “The Lonely Ones” è il secondo libro che leggo di questa autrice. Come era successo per “Some Quiet Place”, anche stavolta sono rimasta tremendamente affascinata dalla storia racchiusa tra queste pagine. Questo, però, è anche un libro molto diverso dai soliti a cui sono abituata a leggere. Articolato in capitoli brevissimi, esso è infatti un romanzo scritto in versi liberi. Brevi frasi seguite da un punto, oppure concatenate tra loro senza punteggiatura, legate unicamente dal senso profondo che l’autrice vuole trasmettere e dalla forza del messaggio che anche una semplice parola accostata ad un’altra ci invia. Il tutto appare come una bellissima e lunga poesia, ma basteranno poche pagine per abituarsi e per non notare più la differenza. 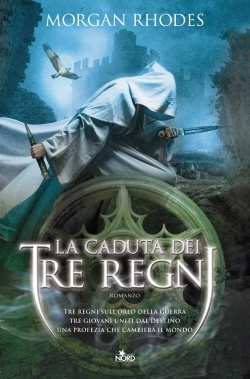 Il romanzo è davvero molto scorrevole, merito, questo, della brevità dei capitoli, della storia particolarmente coinvolgente, ma soprattutto dello stile dell’autrice. Anche se sceglie qui di narrare la storia con questa scrittura molto particolare, l’impronta del suo stile rimane la stessa. Il suo è un tocco leggero, bellissimo e capace di far sognare ad occhi aperti. Con questa sua caratteristica, unita alle frasi brevissime, ma davvero incisive, è riuscita a toccarmi fin nel profondo e a cullarmi con grazia nel corso di tutto la lettura fino all’ultimissima pagina, che mi ha lasciata con un sorriso sulle labbra e uno splendido messaggio sulla vita e sulla crescita da custodire per sempre nel cuore come un piccolo tesoro. La storia è narrata dal PoV di Fain, la nostra protagonista, una ragazza che, anche quando è circondata di gente, non può evitare di sentirsi sola. I problemi della vita, come la difficoltà di trovare un lavoro o la monotonia di uno che non è quello desiderato, hanno portato i suoi genitori a chiudersi in loro stessi o a litigare costantemente. I suoi due fratelli maggiori, ormai grandi e presi dalle questioni tipiche che catalizzano l’attenzione di ogni adolescente, hanno dimenticato i giochi e la complicità di quando erano bambini. A scuola i ragazzi sono divisi in gruppetti. Gruppi che agiscono e pensano come un’unica entità e in cui lei non si sente di appartenere. Fain si muove in questo mondo, ma nessuno la vede. Parla, ma nessuno la sente. Prova grande nostalgia del tempo che è stato, quando sentiva di appartenere veramente ad una famiglia, quando il rapporto con i suoi fratelli era stabile, solido. Adesso, le uniche volte in cui si sente viva, accettata e ascoltata è quando scrive i suoi racconti. Quando riversa su carta fiumi di parole d’inchiostro che delineano i suoi infiniti mondi e le sue infinite storie. Così, ma anche di notte. Quando si spengono le luci e brillano le stelle. Quando tutti si addormentano e i suoi mostri si destano. Creature dalle forme più diverse e strane che hanno fatto di lei la regina del loro regno e che ogni notte l’accompagnano in un luogo diverso e vivono con lei grandi avventure. Ma al mattino, quando il sole sorge e i mostri tornano a nascondersi, lei inizia un nuovo giorno di solitudine. Questo almeno fino a quando non arriva a scuola un nuovo compagno, l’unico che sembra accorgersi veramente di lei. La vede e l’ascolta. Per Fain ciò segnerà l’inizio di un lungo percorso, un cammino in cui si troverà a fare i conti con ciò che conta davvero, sul significato e l’importanza dell’amicizia e dei legami familiari, ma soprattutto sulla crescita e su ciò che significa diventare grandi. Great review, Valy!! Thanks so much for joining the Lonely Ones review tour!! Comunque bravissima, una recensione in inglese *. * ti ammiro tantissimo.